Built like a rock in beautiful St. Peters, PA! 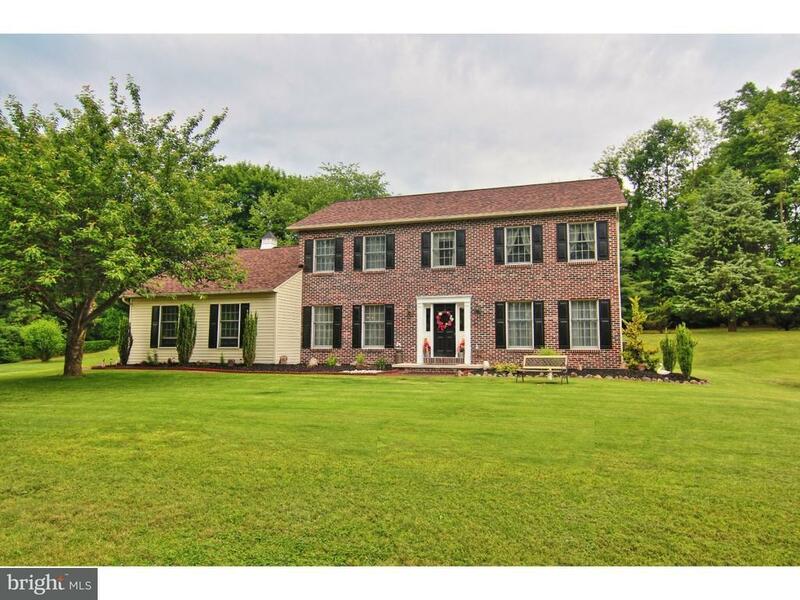 Looking for a spacious Chester County home in move-in condition with a larger lot? Look no further! Located less than 1 mile from historic St Peters Village, you will find this picturesque property. Entering the front door into the spacious foyer you will instantly notice the open staircase and large rooms. The desirable floor plan features a very large great room (big enough for a pool table and bar), formal dining room, eat-in-kitchen with granite counter tops & stainless appliances, convenient main floor laundry area and cozy family room with fireplace. Sliders in the family room access the rear deck. Upstairs you will find a wonderful master suite sure to please with walk-in shower, double vanity, walk in closet plus and extra closet as an added bonus. There are three additional bedrooms and a hall bath as well. Need storage? The neat clean basement and storage shed outside afford plenty! Ample parking is available in driveway or utilize the 2 car attached garage. Flanked by trees and mature landscaping, you will find the large yard to be private and serene. Pool is great for summer! The original owners have taken great pride in their home and it shows. Located in highly ranked, highly desirable Owen J Roberts Schools! New roof, new carpets and in-home security system! If you want to be owner number two on this wonderful property, take a look today! Green Remarks: Newer Roof!